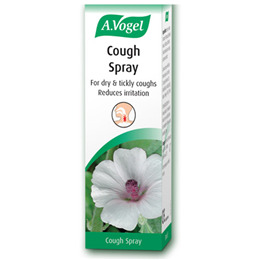 A.Vogel Cough Spray contains the herbs mullein and marshmallow. It can be used to bring about rapid relief for dry coughs and is suitable for adults and children above the age of 4 years. Shake before use. Keep the bottle horizontal. Children aged 4 to 12 years: 1-2 sprays, 6 times daily. Children should use under adult supervision. Put the plastic spray head onto the bottle and adjust it until the spray head (nozzle) is horizontal. Place the end of the nozzle at the back of the mouth/throat cavity. After use, rotate the plastic spray head to a vertical position. Place the protective cap onto the spray head to prevent leakage. Do not drink for 5 minutes after use to ensure good adhesion of the film layer. 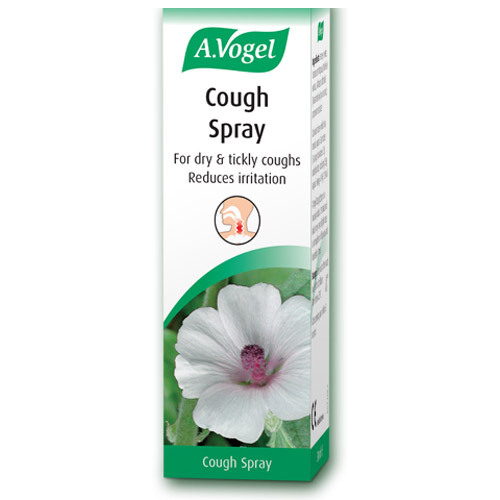 As a precaution, use of A. Vogel Cough Spray is not advised during pregnancy or when breastfeeding due to insufficient data. Below are reviews of A Vogel Cough Spray - 30ml by bodykind customers. If you have tried this product we'd love to hear what you think so please leave a review. Really helped to relieve the tickly sensation at the back of my throat which had been causing me to cough. Would definitely buy it again.